When you’re contracted to carry out work in a loft area it’s important to know whether or not your project will be controllable under the Building Regulations and therefore require inspection from building control. 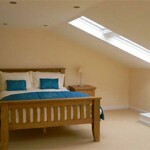 You must be aware that there are lots of Building Regulations that apply to loft conversions, particularly to do with fire safety and thermal insulation. 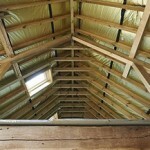 Failure to get approval for loft works can lead to enforcement against the builder or owner, and can leave the owner uninsured and unable to sell their home.